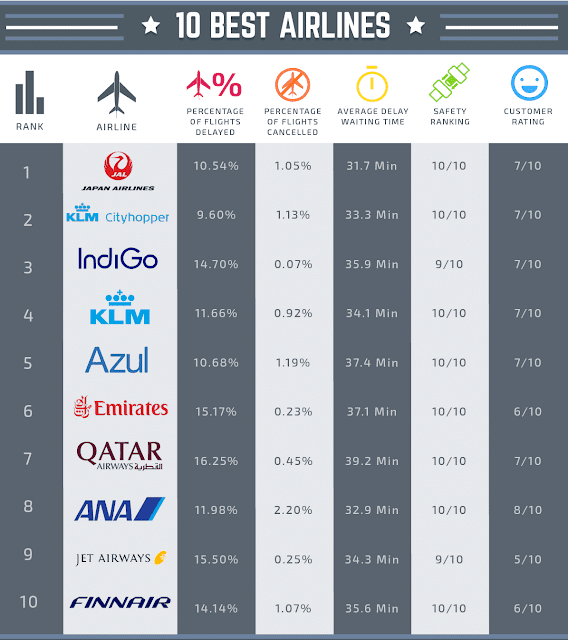 As previously discussed on TheTravelPro, upmarket travelers are ever-more demanding, expecting yesterday’s perks to become today’s standard features. 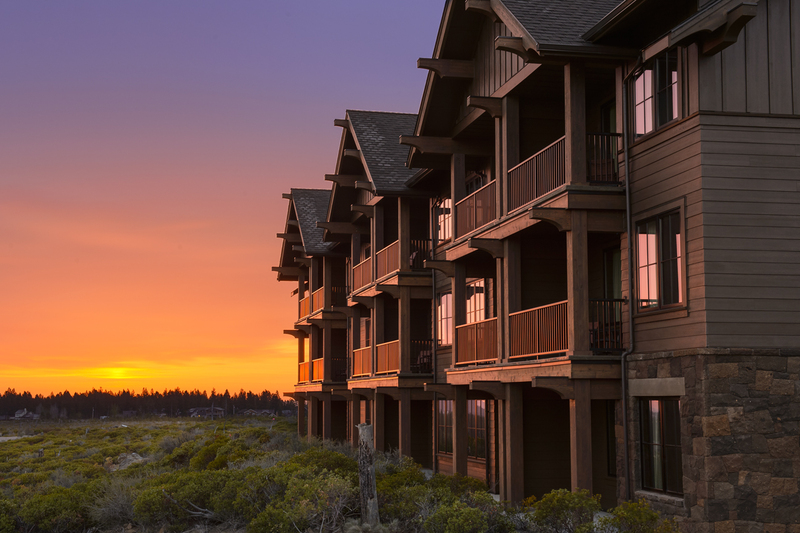 Higher-end properties are responding by developing new ways to lure present and future guests, and one resort in central Oregon appears to top the leaderboard where creativity is concerned. Guests who check in to the Tetherow Resort southwest of the central Oregon town of Bend can take advantage of a unique amenity: the opportunity to play world-class craft musical instruments in the comfort and privacy of their own rooms. 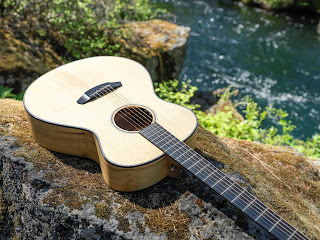 The innovative concept, called the In-Room Instrument Experience, allows visiting pickers to check out and play a premier handmade acoustic stringed instrument, free of charge, from the world-renowned Bend-based guitar and mandolin makers Breedlove and Bedell Guitars, compliments of Tetherow. While guests enjoy golf, swimming and local outdoor activities at Tetherow Resort, they may also find that playing an instrument adds to the stress-relief factor during a vacation, the resort said in a news release announcing the program. “The In-Room Instrument Experience rounds out our unique offerings for our guests and is the perfect addition for any music lover,” Chris van der Velde, owner of Tetherow Resort, said. As an avid traveler and travel writer who is also a guitar player, I think this is practically the perfect perk. When I was a teenager and later a young adult, a guitar was my constant companion no matter how far I roamed. But traveling today is more complicated than it was in the ‘70s and ‘80s, so my six and 12-string buddies stay in their cases, in the closet in my office ... a reality van der Velde acknowledged. As do many guitar players, I get a kick out of picking up an expensive guitar and playing a few licks, and the Tetherow’s perk allows pickers to scratch that particular itch. 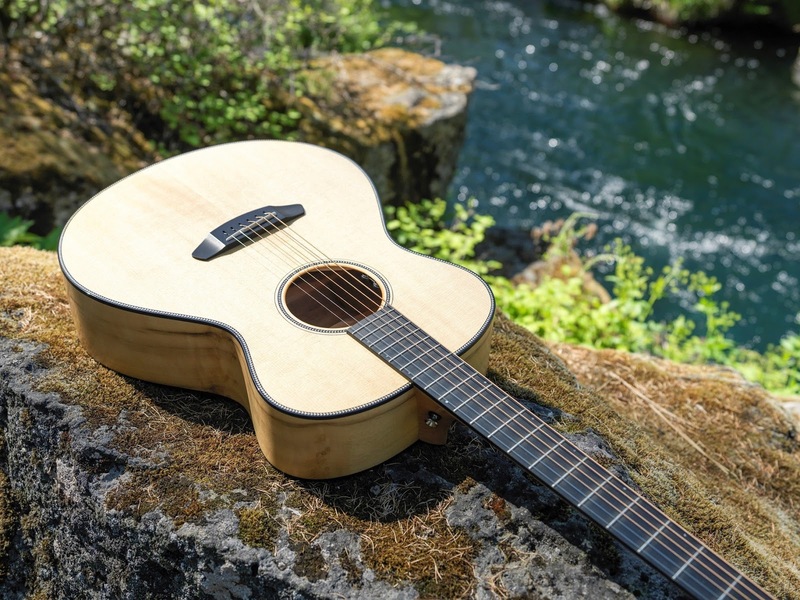 The In-Room Instrument Experience product lineup includes the instrument voted the Acoustic Guitar of the Year in 2015, the Breedlove Oregon Concert. With a retail prices of nearly $2,300, the guitar was crafted for the musician seeking well-rounded balance with a unique look. Thanks to the In-Room Instrument Experience, I may be able to relive the good times I had playing guitar while I was on the road. If you are not a musician, not to worry: Tethero is not your grandfather’s golf club. The resort is not afraid of thinking outside of the box when it comes to creating the best experience for guests. Golfers can “surf the earth” on a GolfBoard, a mash-up of a golf cart and a surfboard. Tetherow was an early adopter of the technology and purchased 30 of the devices. 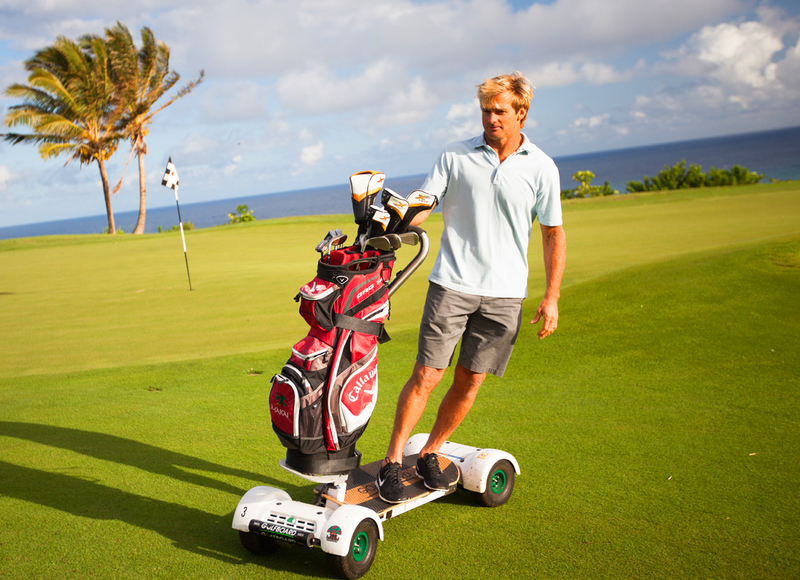 It now holds the record for largest fleet of GolfBoards of any golf resort in the country. Other amenities include a greeting of coffee, tea, and chocolate upon check-in, with all of the items crafted in central Oregon, of course. Guests who arrive in Tesla automobiles can recharge at either of two Tesla charging stations. 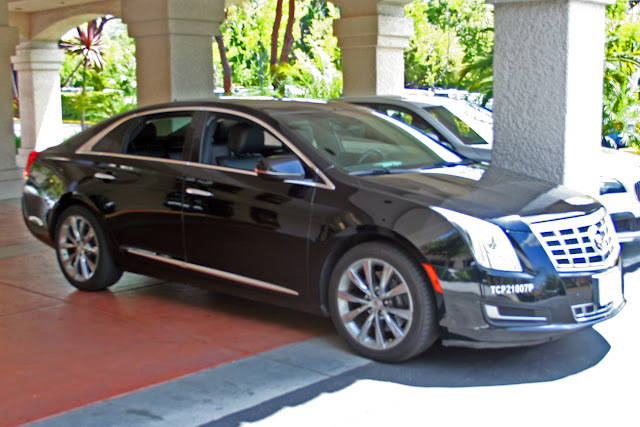 In addition, the resort also has a charging station for non-Tesla electric vehicles. Tetherow Resort is located at 61240 Skyline Ranch Rd., about four miles from downtown Bend, Ore. 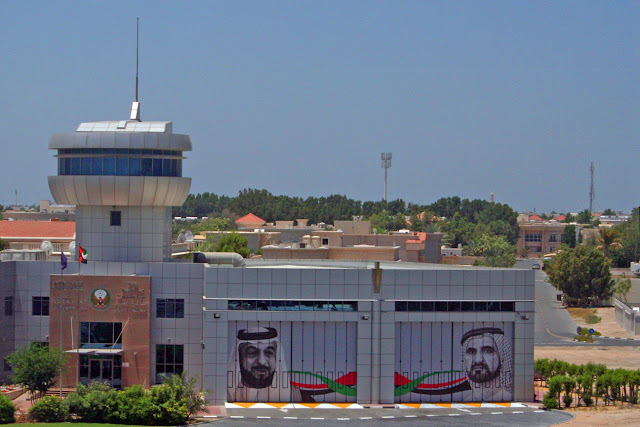 The property offers two types of accommodations. Built in 2014, the 50-room on-site luxury hotel Tetherow Lodges offers queen and king rooms, junior suites, ADA-compliant and pet-friendly rooms. Larger families or groups may prefer one of the resort’s four vacation rental homes. Nestled in the heart of the resort, they each offer five bedrooms and five bathrooms and are equipped with all the comforts and necessities of home, according to the resort’s website. The property offers an 18-hole David McLay Kidd golf course, a golf academy and junior golf academy, two onsite restaurants, heated pool with cabanas and poolside service, a clubhouse, walking and biking trails, and a recreation facility expected to be completed in early 2017. The property borders the Deschutes National Forest, which offers an abundance of outdoor recreation, including hiking, kayaking/rafting/boating, bird watching, mountain biking and more. Hotel guests receive complimentary shuttle transportation to downtown Bend and the Old Mill District. Wi-Fi and parking are also complimentary. Voted the world's No. 1 resort by Booking.com, Tetherow Resort is a member of the Stash Hotel Rewards program, so guests can accrue points good for free nights at Tetherow and other distinctive hotels.